Sandwiched between PT Valencia and the soon-to-be largest constructed GP in history, we’re firmly amidst a Modern frenzy. What’s more, the PTQ season is on the horizon with players and the market alike keenly aware of its approach. Today I’m not going to tell you what Modern cards to buy and which ones to sell. (It’s all of them and none of them.) Next week after Grand Prix Richmond we can chat about that, since it will be another five weeks before another major Modern event. Instead, I’m going to give you a little insight into this corner of the market as a whole in this particular time period. Modern prices probably feel like they’re going crazy right now. Snapcaster Mage is $35+. Cryptic Command, a Modern Masters rare, is $50. Tarmogoyf is making a move towards $200. The numbers just keep climbing, and a lot of people are irritated about it. It really struck me Sunday when I watched people 1-for-1 Bayous, as in the Revised dual land, for Misty Rainforests. The duals weren’t in NM shape, and the guy trading away them away was probably giving up a little bit of value, but still. Think about that. Bayou and Misty Rainforest may not quite be on even ground, but Misty and Scalding Tarn are actually worth more than half of the duals. We learned what was in Jace vs Vraska last week, so between now and early June there are only two non-Standard products whose contents we do not know. The remaining Standard set doesn’t really count because so many of the cards we care about can’t be printed in Journey into Nyx. We aren’t going to see Fetches suddenly appear, or Goyfs, or Liliana of the Veil, or any of that stuff. The only place any of that can go between now and June is the Modern event deck and Conspiracy. We know absolutely nothing about the event deck right now except that it will be $75. Given Wizard’s track record with these decks, it will be locally-competitive and solid value for its cost. Keep in mind that they would have assembled and priced these things months ago, well before some of these numbers hit the heights they have. It’s possible they will have a street value of twice their MSRP. That sounds like it may crush the value of the cards contained within, but I wouldn’t expect it to be quite that drastic. First of all, it’s only going to have a handful of especially valuable cards in it. Second of all, while they may claim it’s not a limited release, their idea of “plentiful” is different than most consumers. Most of my LGS seem to sell out of the decent event decks every time, and I don’t recall ever seeing one at a Target. That also assumes that the LGS is selling it at MSRP, which plenty won’t. As per the contents, at this point it’s anyone’s guess. Since the first big Modern-related event to occur after the announcement of the event deck was the unbanning of Bitterblossom, people assumed it would be B/W tokens. Their logic is that WOTC wouldn’t unban BB without releasing more copies into the wild, and it’s a solid tier two strategy that is a little off the radar, fun to play, and could use some reprints. The internet at large sounds as if they’ve basically made up their minds that it’s BW tokens. I am less convinced, but it doesn’t matter all that much anyways. There is likely to only be a single copy of one or two platinum cards, so unless you happen to have gone super deep on one of those, you should remain relatively unharmed. Conspiracy is the other big question mark, and it’s one heck of a question mark indeed. It’s the second stand-alone draft set ever as far as I know, with the first having been Modern Masters last summer. When we got the name of that one it was pretty obvious what direction it was going to take in terms of what cards to expect, but Conspiracy is a total black box. The best information we have is the two spoiled cards and the banner art. The setting appears to be Ravnica-esque, although the outfits are pretty unique: Wizened goblin/troll, 19th century pirate, victorian assassin, ethereal undead king, and Orzhovy robes. I would say nothing is truly off the table, but I think heavily flavored cards such as Spellskite or Vendilion Clique may not fit, while more generic creatures like Restoration Angel could work. I doubt Wizards is intending for this to be a Modern-relief set though, so don’t expect a slew of reprints. Those two pieces of product are all that stands between us and the most expensive cards not on the reserved list in Magic’s history. Some seem to think that there is no way Wizard’s will let this PTQ season come and go with the rampant, drastic rise in prices that we’re seeing. It’s their baby format, and they don’t want it to become as inaccessible as Legacy, right? Surely we’ll see reprinted in considerable volume between now and the summer that will keep this all sane. I’ve got news for those folks: it isn’t happening. Even if Modern staple X is in one of these two products, there is not going to be nearly enough supply to moderate its price in any meaningful capacity. And what about the other hundreds of cards that don’t get reprinted in the interim? Even if they put fetches in every box of Cheerios, Cryptic Commands are still going to be $50. Here’s what I think happened: Wizards underprinted Modern Masters so as to avoid a second Chronicles. I’m happy they didn’t go overboard. It’s in both of our best interest for them not to saturate the market with those cards. Much safer to underprint than overprint. I don’t think that they appropriately modeled demand however, and are finding themselves with their metaphorical pants around their ankles in terms of secondary market prices this year. Consider the original Commander’s Arsenal. They printed what they expected would be a semi-desirable product and ended up publicly apologizing for how expensive the sealed product became. There’s a lot of precedence for Wizards releasing too little, and very little for releasing too much. The guys and gals at WOTC aren’t sitting around thinking “look at these silly prices on Tarmogoyf, just wait until they see what we put in Conspiracy!” No, I think they’re hunkering down and preparing for what may internally be considered one of the most poorly handled PTQ seasons in recent memory. “Weathering the storm” is an expression that comes to mind. They’re likely scrambling to let off the pressure as best as they can for next year, probably in the form of Modern Masters 2, but for the time being they’re just hoping cards don’t get as expensive as, well, as they are now. Prices are going nuts, there’s nothing in the pipeline to stop it, and Wizards can’t react fast enough to fix it. This summer is going to see the most brutal prices in Magic’s history for quite some time. What’s this mean for all of us? Well, it means nobody should be trading or selling their Modern product right now. Those few extra Kiki-Jiki’s you have lying around? Take them out of your binder, put them aside at home, and wait until June. On the fence about buying that playset of Snapcasters you want? Buy them, and buy them today. If a guy at the store is selling Spellskites for cheap and you have a few extra bucks, don’t feel bad about picking them up just to resell later. This is truly a bull market, with no letting off ahead of August. The growth is real, the prices are real, and your window to act is closing fast. It won’t be permanent, but in the next five months its going to be one hell of a rising tide. All of this only matters through the summer though. Once we’re on the other side of this PTQ season it’s going to be a drastic change. The next season will feel far away indeed. We’ll have a plethora of product ahead to increase supply, and more importantly, we’ll be in the timeframe at which point WOTC could have seen what was going on and started putting plans into place to help control the market with reprints. I’ll be very surprised if we don’t see Modern Masters 2 of some sort next year, so holding Modern staples past the PTQ season will be a real minefield. The takeaway here is that you should sell everything except those cards which you wouldn’t be upset about losing value on. In the meantime though? Go hog wild. Do you think Wizards really cares whether or not demand is met? I feel like they could easily put out Scalding Tarns at FNM or something. They seem to support spiking card prices. 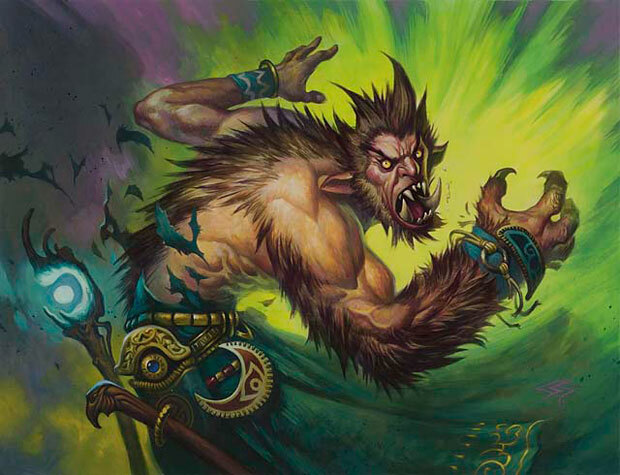 Wizards wants Modern to succeed as a format – Modern Pro Tour, Modern PTQ season and Modern Masters I and II plus millions in marketing dollars all make this clear. For Modern to be successful, it needs players. If the format is so expensive that it’s not accessible, then people won’t play it and it wont succeed. Do you think buying modern staples now is an example of the “greater fool” theory? As in buying into hype hoping that the cards will continue to rise? I read about it in another article on here. That’s a great question Richard. The “greater fool” concept, as I understand it (@JasonEAlt wrote about it) typically applies in the context of individual card spikes. The card suddenly jumps in price, and you want to sell to someone else who will then have to find someone else to buy from them, etc. All of this is occurring while the price spikes hard then often drops down nearly as fast. In this situation, we don’t have a card spiking so much as we have a tremendous amount of *very real* demand for some very limited product. The greater fool theory sort of assumes that you don’t know how much real demand there is for a card, while in the case of Modern in at the moment, we very much know. You will still see the greater fool at work on cards like Porphyry Nodes, but on format staples like Cryptic Command, Snapcaster Mage, Splinter Twin, Tarmogoyf, and similar cards, the rises in price are consistent, strong, and well understood. The concept also applies here. By suggesting that people obtain cards now with the idea that they will be more expensive in the future, you are telling them to assume that there is a greater fool out there who will buy them when prices go up. The fact that it is a “bull market” at the moment, and that supply is considered generally static due to the arguments that you have laid out above, each individual card is currently undergoing a “greater fool” style inflation. Fetches being the perfect example of this. If all of the actors in the pool are rationally deciding card values, and they continue trading for equal value, the prices will eventually stop rising, but that is exactly what you are telling people not to do. You’re saying, there seems to be plenty of stuff to buy out there right now, and the buying is driving up the prices. But that is the reverse of the advice you are giving. You are telling people “remove supply from the market, drive up the prices by removing that supply, and then strike quickly to sell in June, before we find out any new information,” which is exactly what the theory predicts will happen. Great read, thanks! As a casual player, but nonetheless someone who likes fairly competitive decks, is this the worst possible time I could be buying three more cryptics? I’d like them eventually, but I’m way too late to the party! If I can wait, should I? It depends on when you need them Michael. If you want them for the PTQ season, buying them now is the right play. It’s unlikely they’ll lose more than 5% of their value, and it’s more probably that they rise in price instead. If you don’t mind waiting until the fall, then I’d hold off until at least September, when we should see prices contract just a bit.